You know that one friend who seems to live so far away that when they ask to share a taxi home, everyone just laughs? That’s me. Living in the depths of Changi is both a blessing and a curse, but being five minutes away from some of the best local food in Singapore definitely leans towards the former. It’s going to get tricky navigating through the jungles (since that’s what everyone thinks Changi is), so it’s probably a good thing that I’ve put together this beacon of hope. 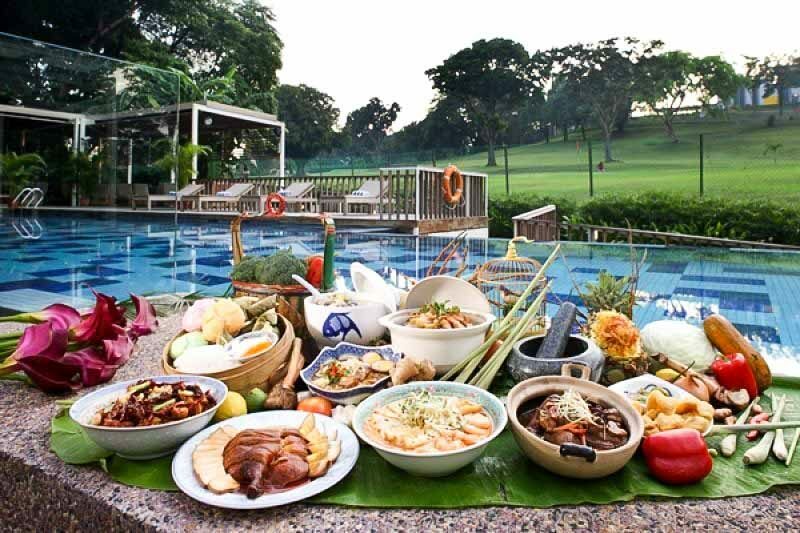 If you’re planning a pilgrimage to this hidden food paradise, here is your ultimate Changi food guide of 34 eateries and cafes! I obviously have to start off at the famous Changi Village Hawker Centre. Many NSFs have indulged in the wonders (and cheapness) of this conglomerate of stalls, and for good reason. Whether it’s for Nasi Lemak or Hor Fun, the light at the end of the tunnel is always worth the journey. 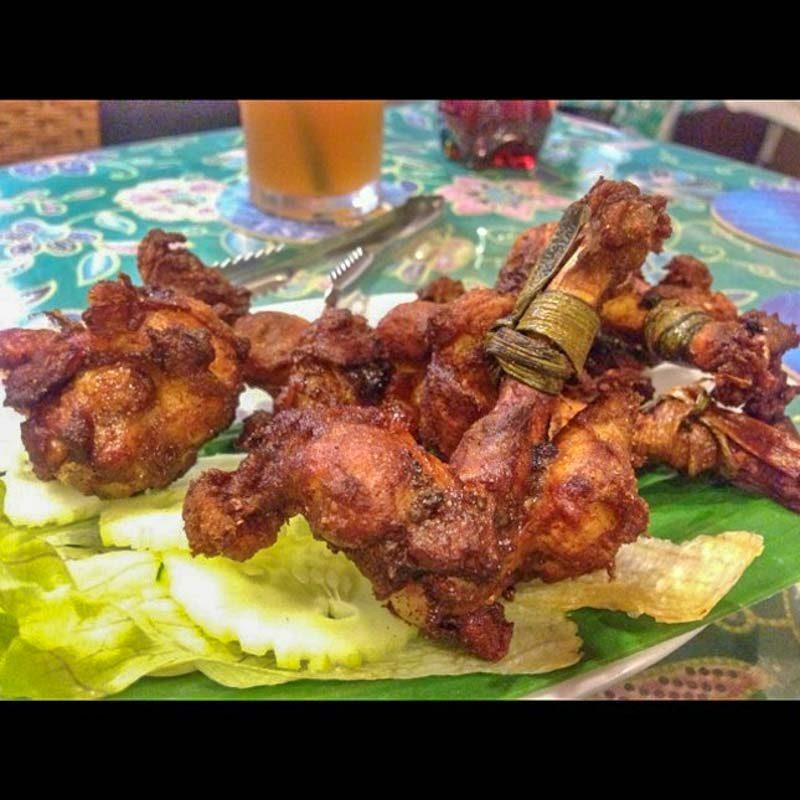 Anyone who knows me knows that I can’t turn down a plate of good ayam penyet (S$4) (smashed fried chicken). 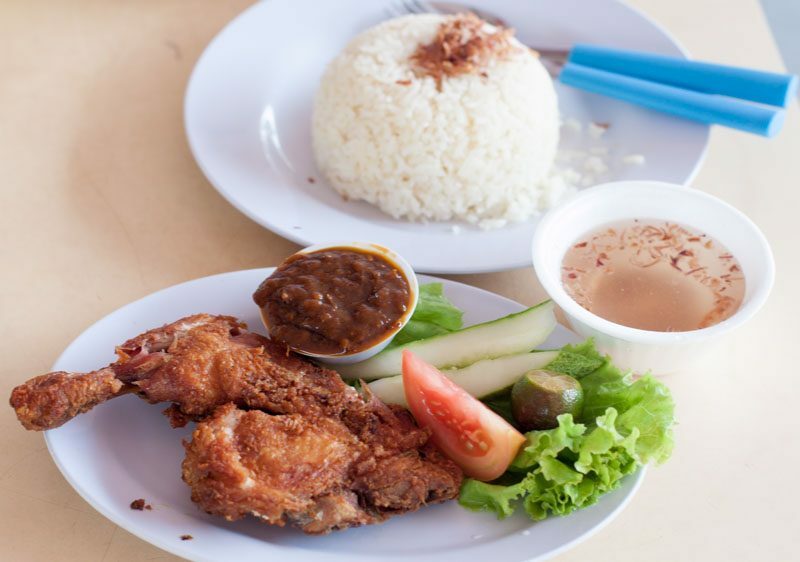 Sari Bistari Changi Village Famous Nasi Ayam Penyet‘s sambal is ON POINT and the chicken is crispy on the outside, juicy on the inside. Get there early because once they sell out, the shop closes for the day. I stumbled upon this relatively unknown Indonesian Ayam Bakar (roasted chicken) stall the other day and I’m here to let the whole world in on this gem. 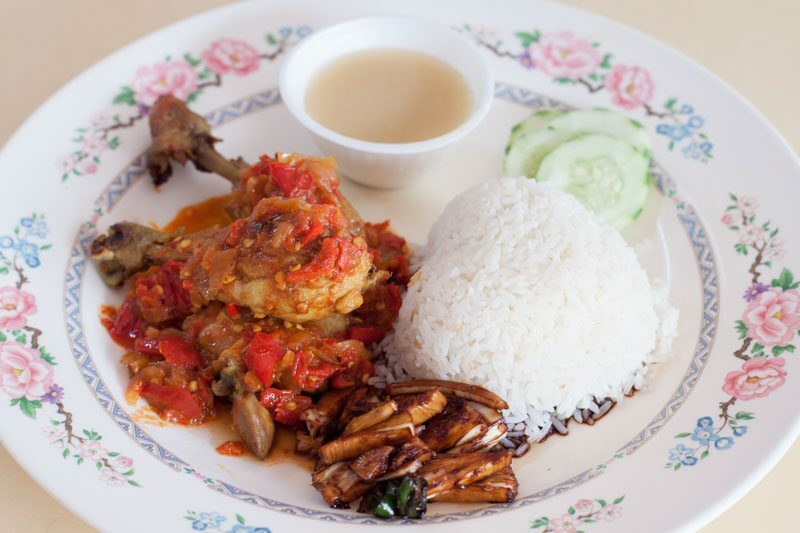 S$4 will get you a massive plate of TWO pieces of roasted chicken served in your choice of sauce: ayam bakar diving, masak merah, sambal pecel, sambal rendang or sambal lado (pictured). Try this before everybody else decides to too! The moment I mention Changi Village, someone usually follows up with the mention of nasi lemak. 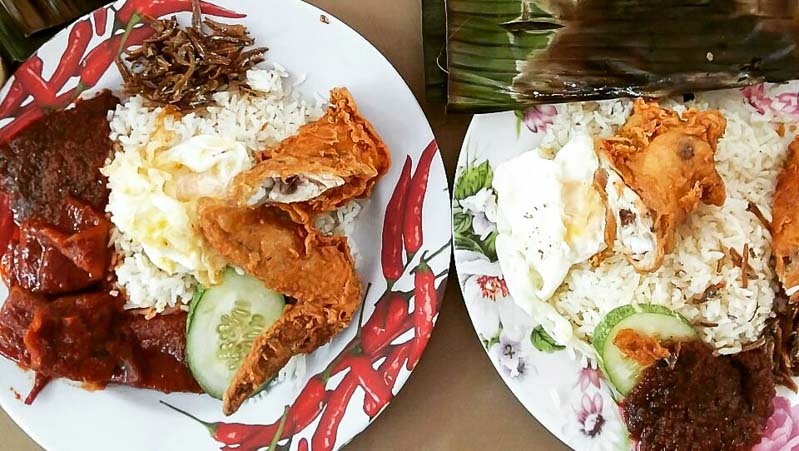 The hawker centre is probably most famous for housing two stalls known for selling this local delight, one of which is International Nasi Lemak. They’ve had the longest queues for years, and recently people have wondered about a drop in standard. I think they still do a decent plate of nasi lemak (approx S$3.50) though, and their sambal is still my favourite. The other main contender is Mizzy Corner Nasi Lemak and the snaking queues are a clear testament to their popularity. 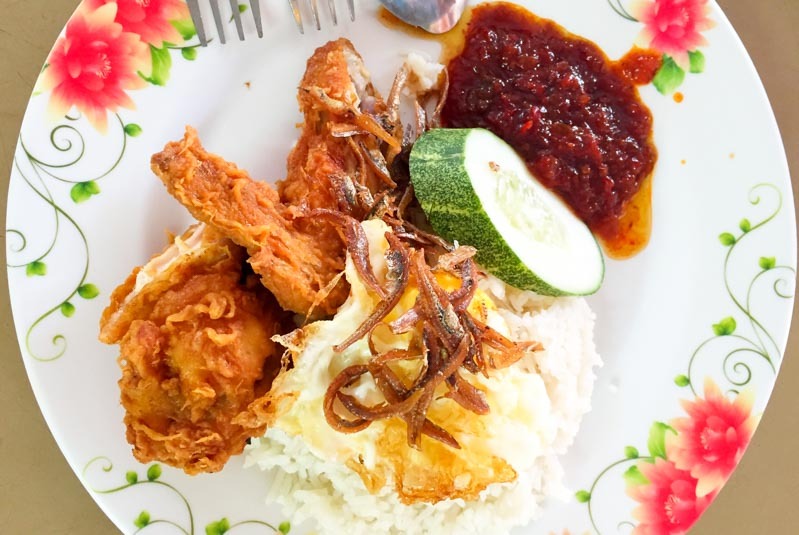 You can choose from different sets and add on various items accordingly to customise your plate of nasi lemak (approx S$3.50). I prefer the crispiness of the chicken here, but International’s sambal still has my heart. Get a group of friends together and order from both stalls to decide on your favourite! Weng Kee Ipoh Hor Fun‘s Chicken Cutlet Hor Fun (S$3.50) is a must-have for Changi Village regulars. The unconventional addition of chicken cutlet is fried to perfection and when doused in that gravy… mmmm. 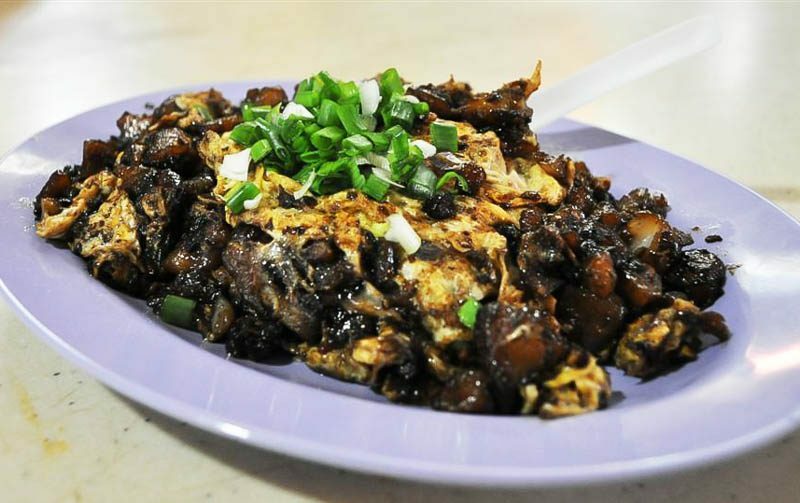 It would be a sin not to include Amigo Chicken Chop Hor Fun in this list. 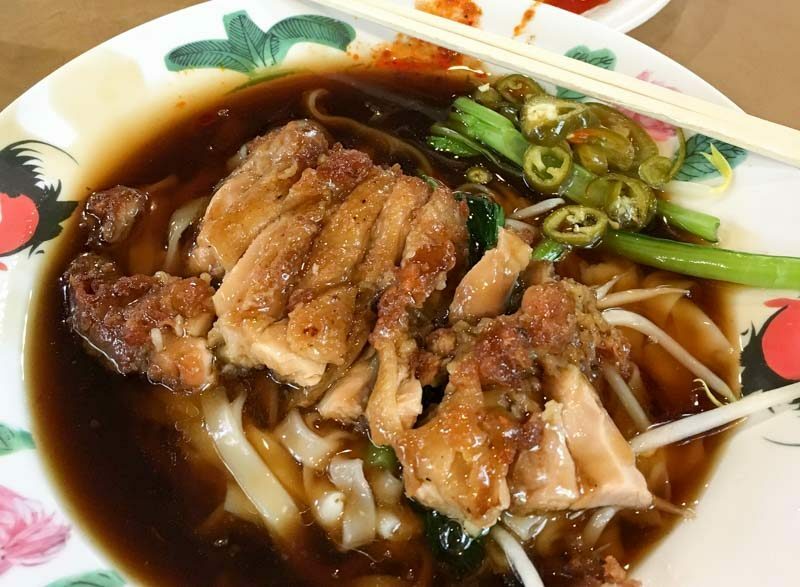 Another strong contender in the hor fun scene, a bowl of their Chicken Chop Hor Fun (S$3.50) resonates in the hearts of many. This is comfort food in the heart of Changi, and I know a few people who may have moved away, but keep coming back just for this. This may not look like the most appetising of dishes, but Ho Guan‘s satay bee hoon hits the spot on a lazy Saturday. The couple running the stall has been at Changi Village for almost 40 years and I’ve only just gotten around to trying a plate of the seafood satay bee hoon (S$3.50). It’s not the best satay bee hoon in Singapore, but the pretty amazing peanut sauce does the job. When I need my BBQ chicken wing fix (and this happens more often than not), it’s nice to know that Changi Village Best BBQ Chicken Wing does a decent batch. The wings (S$1.20 each) are not too oily and the flavour definitely triples when dipped in the accompanying chilli sauce. Once again, not the best I’ve had in Singapore, but still pretty darn good. In a land of (kinda) unhealthy hawker food, a light bowl of sliced fish soup (S$4) is a very much needed balance sometimes. 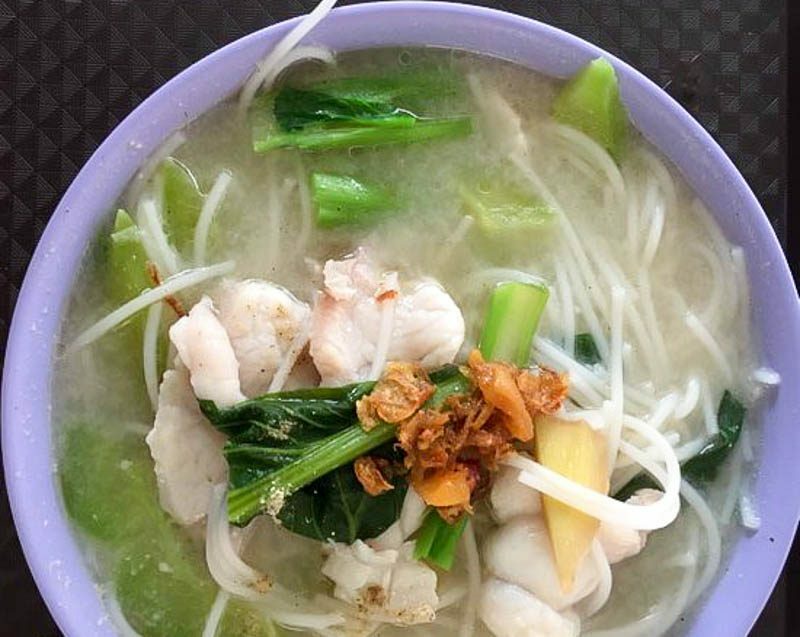 The fish slices are really fresh and the broth will keep you coming back for more. Ask for extra veggies so you can justify dessert after. Speaking of dessert, you can’t leave Changi Village without a bag of goreng pisang (fried banana fritters). 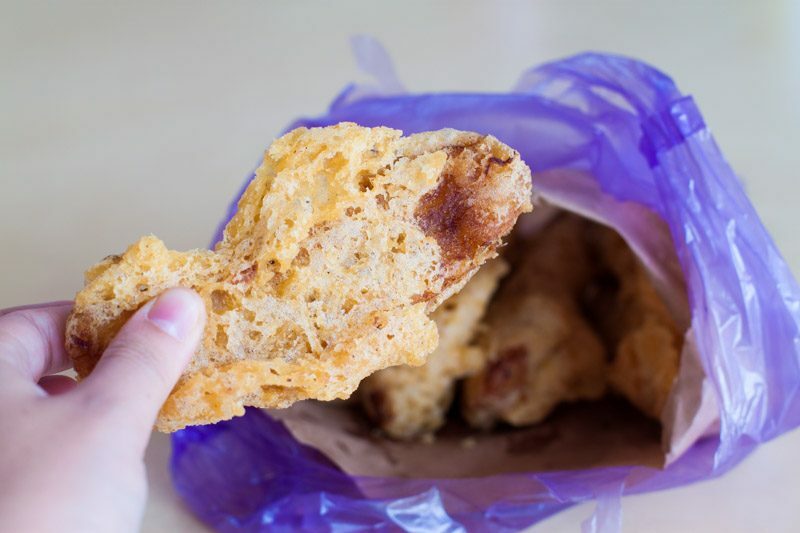 Try some from the popular Million Stars Goreng Pisang (S$4 for five pieces), where the batter packs a crunch and the bananas are sweet and moist on the inside. A proper hawker meal should always include a plate of carrot cake and Changi Village Carrot Cake does a decent dark version (approx S$2.50). I love that there is always an abundance of egg, but the standard has admittedly been dropping over the years. Still, it’s worth a try if you’re in the area. These enormous white bowls from 稳稳白米粉 Woon Woon Pek Beehoon are hard to overlook, especially during meal times. 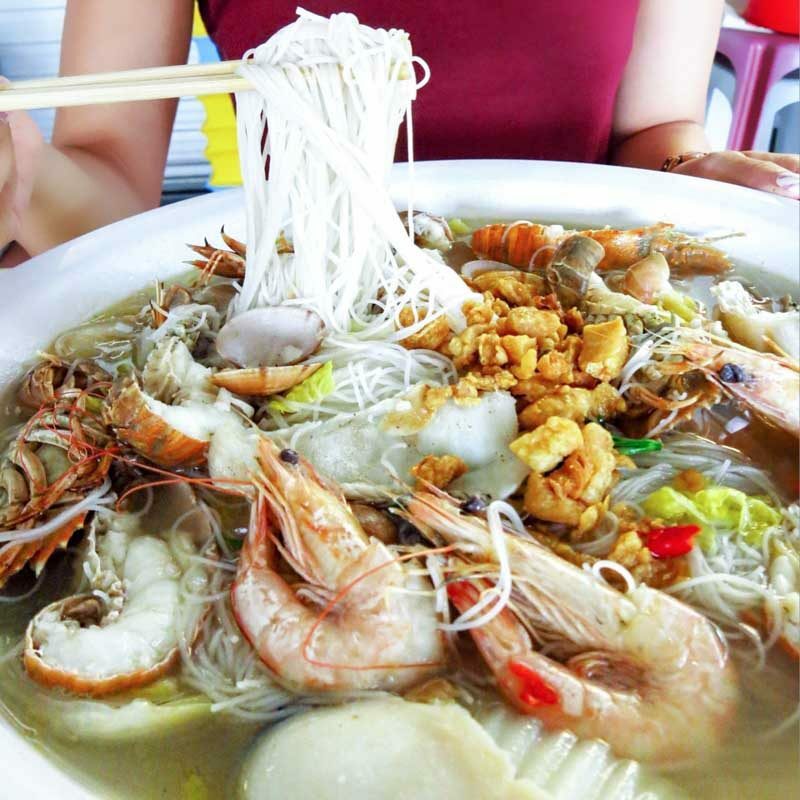 All you seafood lovers are bound to feel like children in a candy store with the plethora of fresh seafood you can choose from to go with your white bee hoon. From scallops, to prawns, to crayfish, to clams, to fish slices, you can select the combination of ingredients to your liking with the various platters available, each starting from S$5. These bowls of unusually red substance pictured are none other than the famed Commando Dessert (S$2 per bowl) from Mei Lin Leng Re Yin Pin. 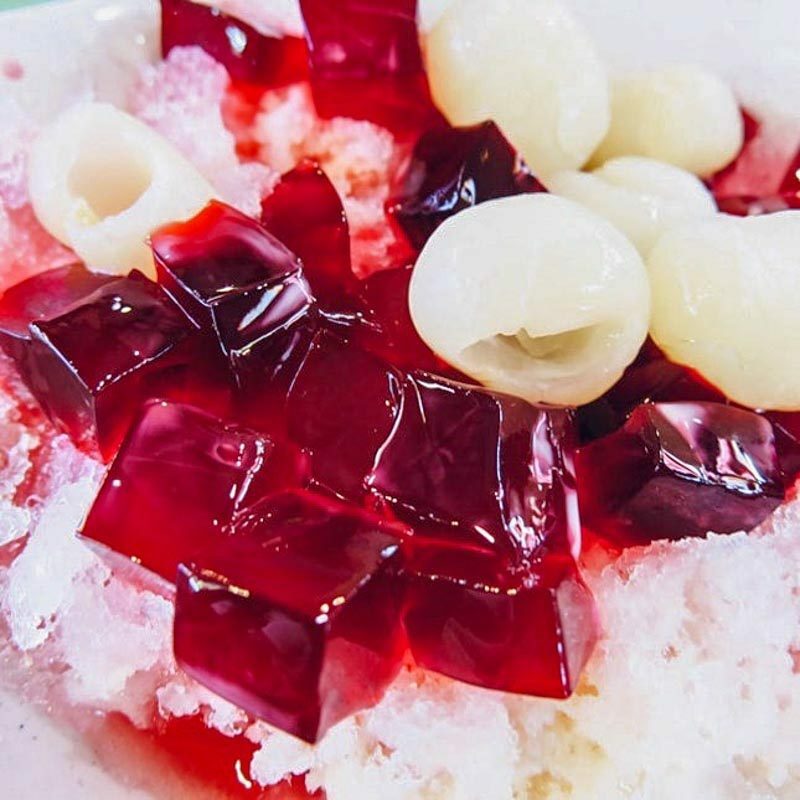 Essentially Red Tea Longan, the dessert apparently got its name due to its popularity amongst the Commandos whose camp is just a stone’s throw away, as well as its resemblance in colour to their beret — maroon. 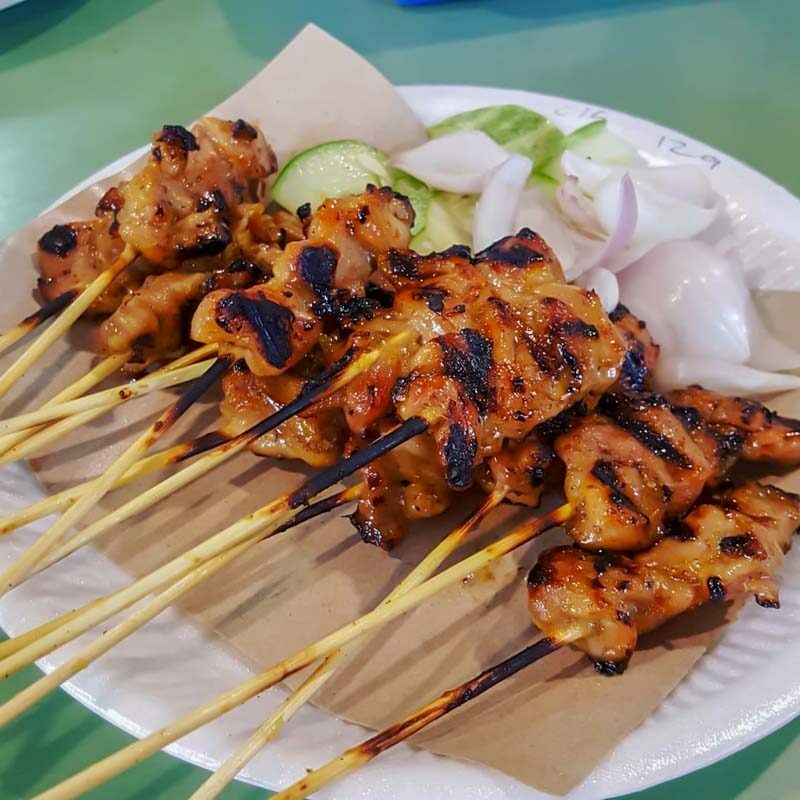 At only S$0.60 per skewer, a price which I doubt can be easily found elsewhere, the Chicken Satay from Jason’s Place is remarkably larger than average. 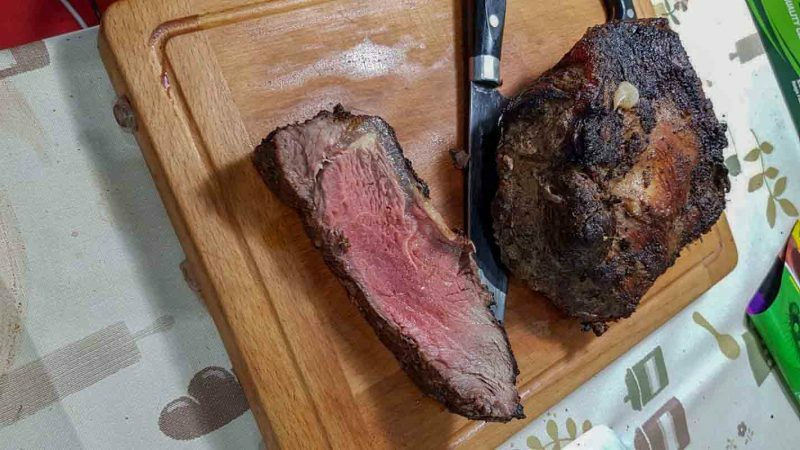 Every skewer of meat has an even char on them which made parts of them delightfully crispy. While you’re there don’t forget to try out their BBQ Chicken Wings (S$1.20 per piece, minimum 2 pieces) too, which have a crispy fragrance special to their own. 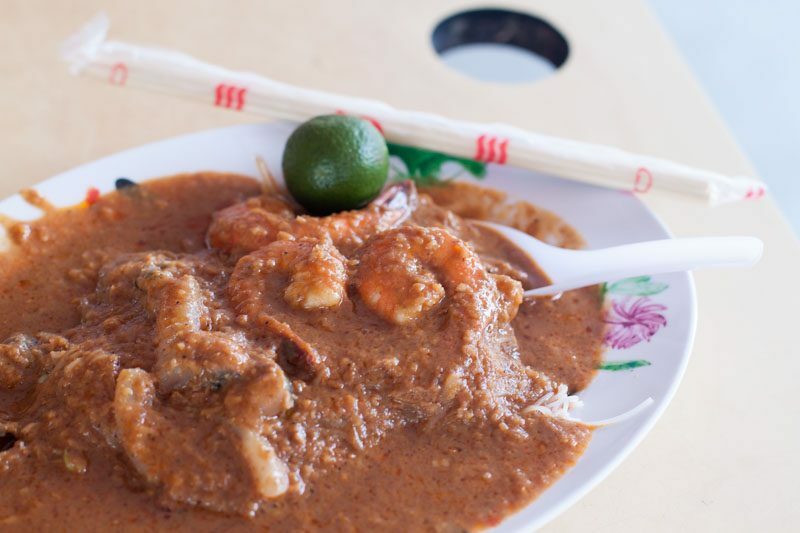 Run by an elderly couple, W Kitchen Western Food serves up Western dishes which are done Singaporean-hawker-style. I’d personally recommend my go-to item, the Garlic Chicken (S$5.80). Nothing thrills a garlic lover like me more when I see that my chicken chop has been blanketed with large slices of garlic. But the additional sides of fries and salad that came with the protein also deeply satisfied me with the generosity of their portions. Not a big fan of garlicky flavours? The chef’s recommended Pork Cutlet (S$6) is a good and popular choice too. It’s pretty hot in Singapore all year long but Edge Of Glacier can help you feel the coldness of a glacier, or at least the edge of it, for a while. I’ve seen many people leaving the stall with their Mao Shan Wang Durian King ice cream, so I’m guessing it has earned the approval of durian and ice cream lovers alike. 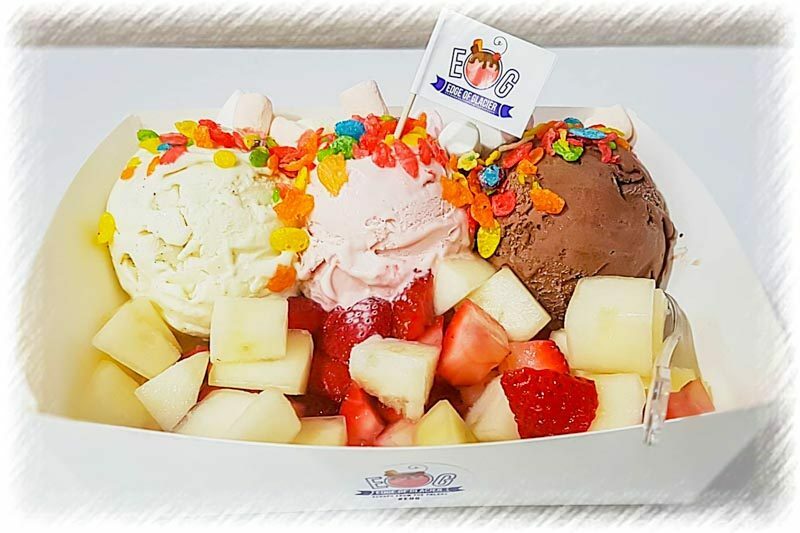 With plenty of toppings from chocolate sprinkles to fresh fruits to choose from, express your creativity and customise your icy treat however you like. 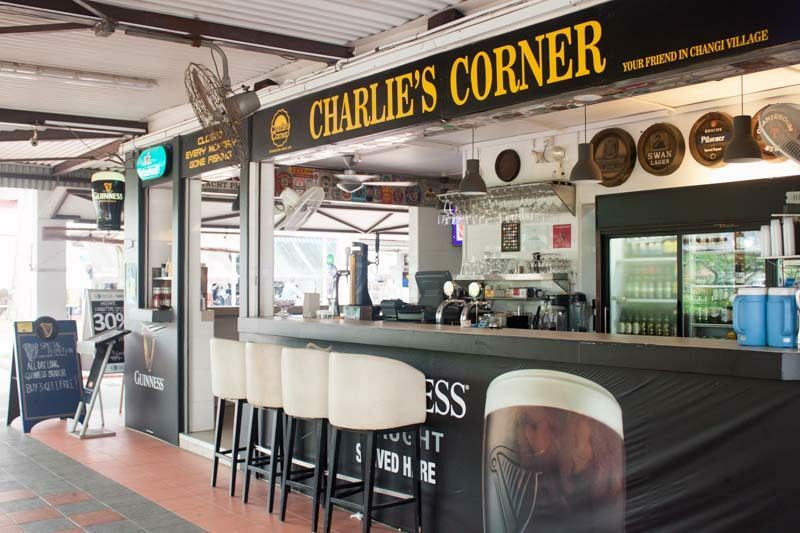 If you’re looking for a friendly hangout and a promising selection of beers, you have to visit Charlie’s Corner. 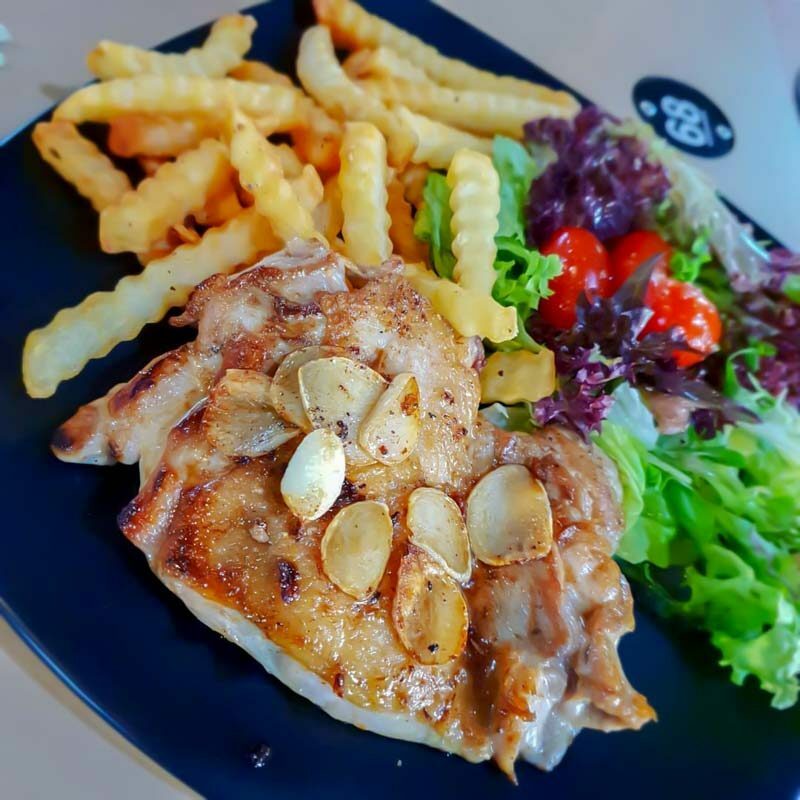 They’re also known for their reasonably priced western fare so the next time you’re round, order the Famous Fish and Chips (S$12.90) or the Pork Chop (S$12.90). 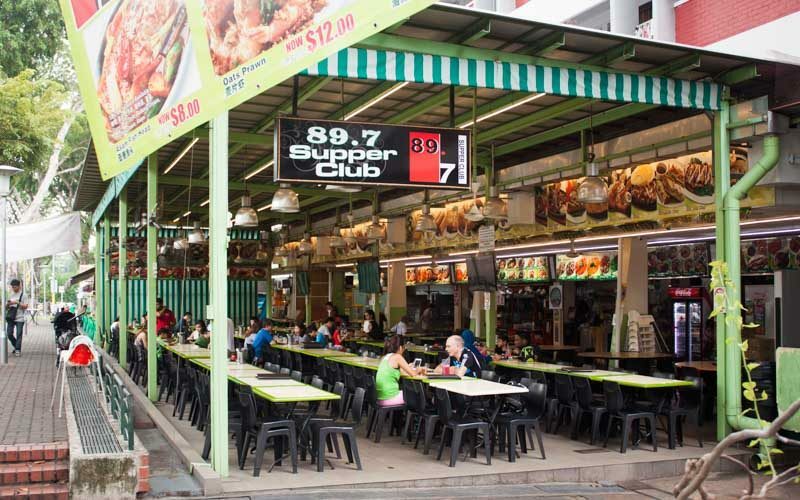 Changi Village Hawker Centre may be where all the action is at, but the surrounding eateries are well worth a visit too. You know what’s good about living in Changi? 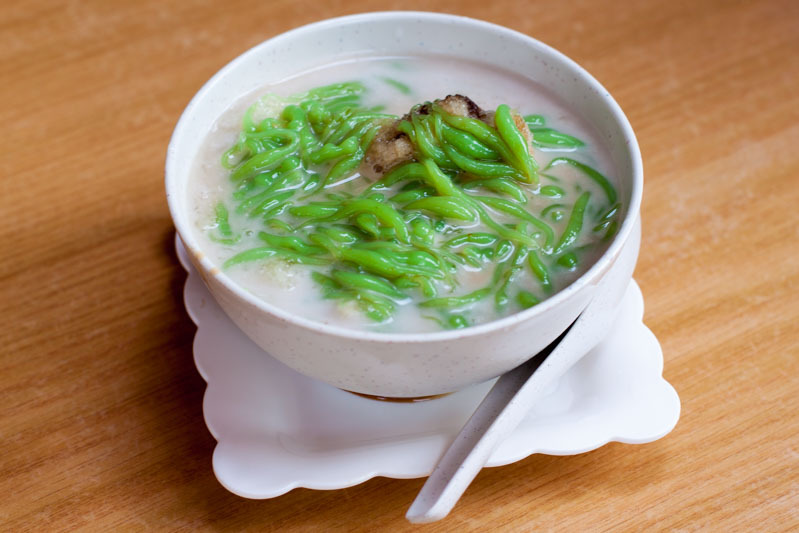 You don’t have to go to Melaka to look for good cendol. I’m a recent cendol convert and can vouch for this small bowl of awesome right next to Changi Village Hawker Centre. Plus at only S$1.50 a bowl, I don’t know what would ever stop you. It seems to have become an unspoken thing in my family to hold birthday dinners at 89.7 Supper Club. I know right. But seriously, I’m beginning to see the light. You get so much bang for your buck! The “restaurant” serves a variety of halal local and international cuisine, in a very relaxed setting and at extremely reasonable prices. There really probably is something for everybody here, so you know no one’s going to be complaining. 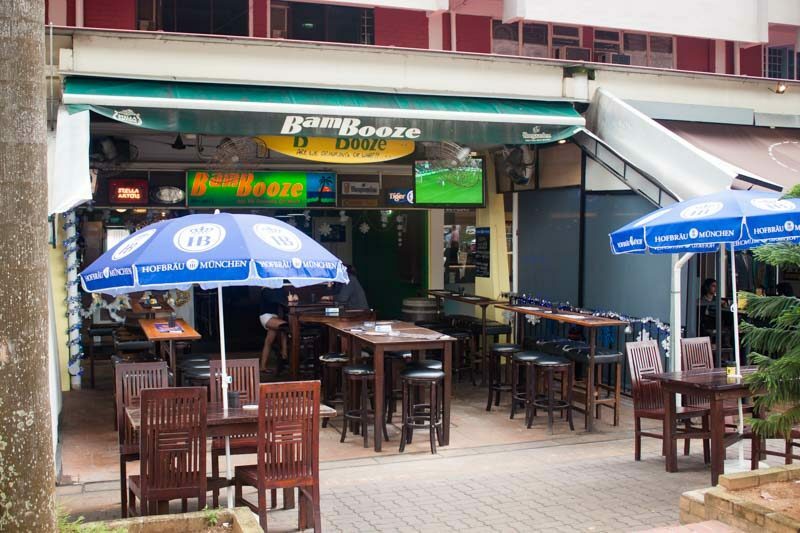 Bambooze Bistro is another local Changi area haunt with its own steady stream of regulars. Friendly staff will make you feel like you’ve been coming here for years and conversation is never short amongst the chatty patrons. Knock back a pint or two while watching footy with your mates here! 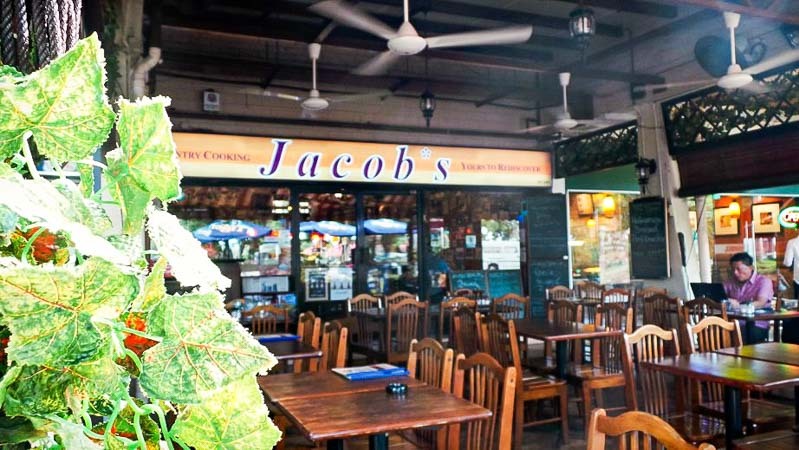 Jacob’s Cafe always has rave reviews and the local and western fare is a hit with customers. I’ve heard great things about the German Pork Knuckles (S$43.90, subject to availability) and some have even claimed that they’re the best in Singapore. 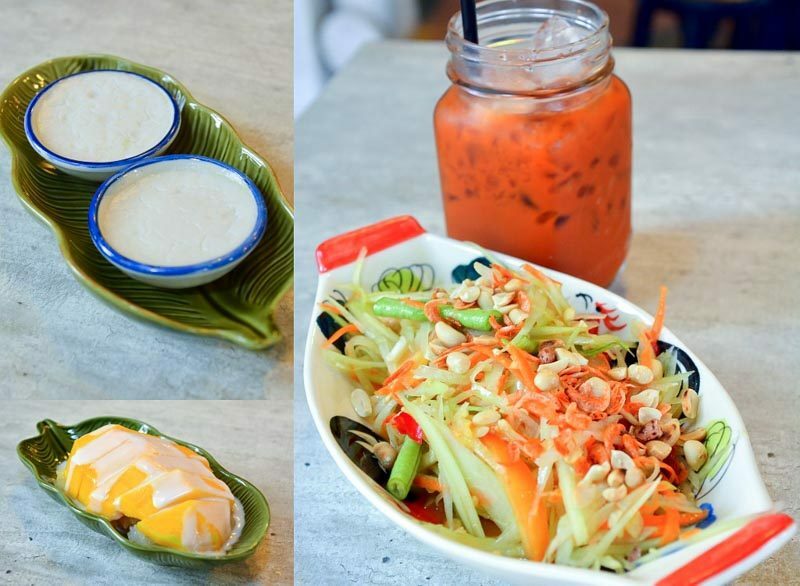 Pranakorn Thai Food isn’t the oldest kid on the block but it’s been making waves in the area for serving pretty authentic Thai food. The flavours here differ slightly from your usual Thai joints in Singapore and is probably more comparable to the real deal in Thailand. It’s so nice knowing that we’ve got our own little microbrewery right here in Changi. 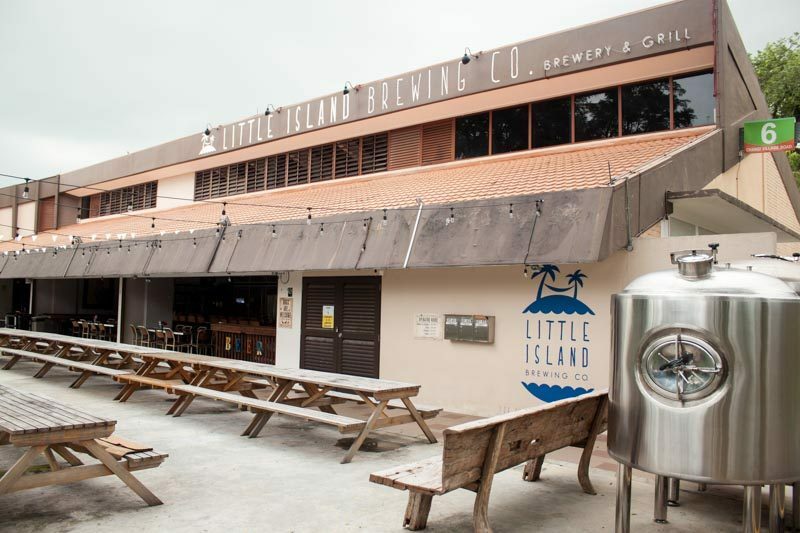 Little Island Brewing Company offers a great ambience to have a few pints of house-crafted brews with really good food to boot. You can’t leave Changi without a visit here, so no excuses people! 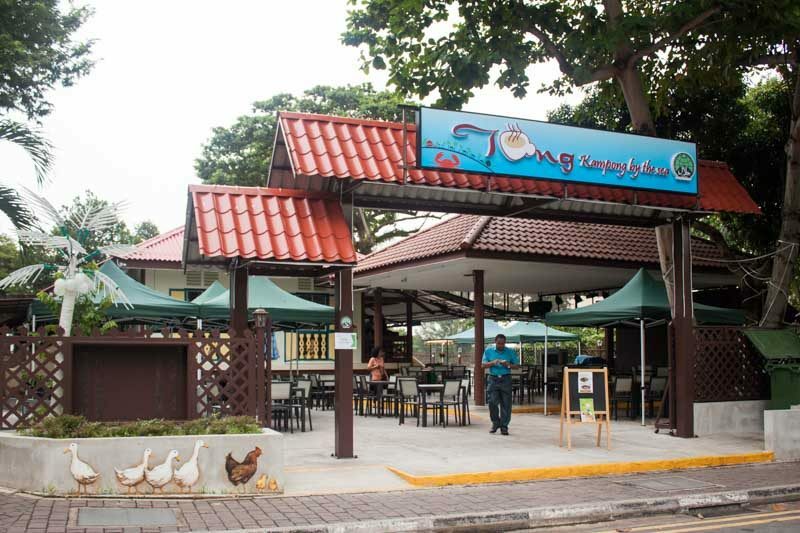 You may already be familiar with the Tang Tea House at Simpang Bedok but a new outlet has recently taken over the spot formerly home to the popular Ubin First Stop Restaurant in Changi. The halal eatery features a quaint kampung-like setting with cute murals and continues to serve up your favourites. 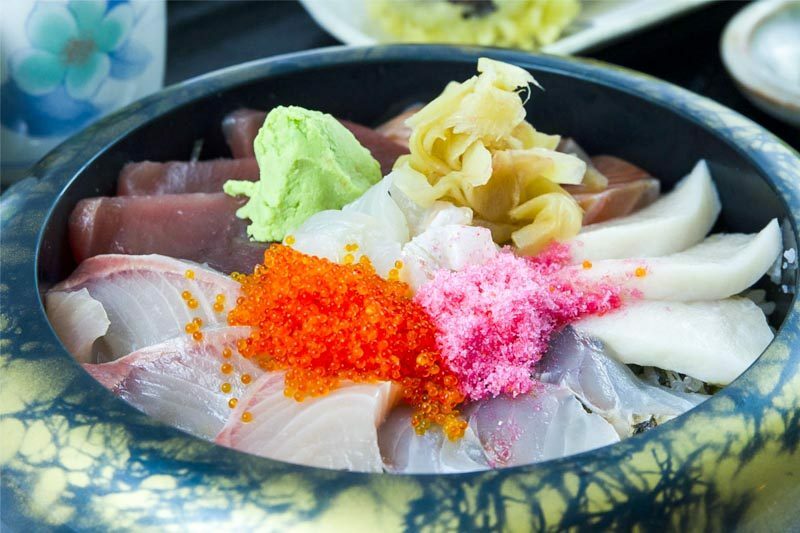 If you’re willing to shell out for a more expensive lunch or dinner, head to Village Hotel Changi for probably the best Japanese food in the area. The price is justified by the fresh ingredients, impeccable service and relaxed dining atmosphere. Ask the chef for his famous maki or go for one of the sets on the menu. Changi really is quite self-sufficient as a corner of Singapore — it even has a decent hotel buffet. I’ve visited Saltwater Cafe at Village Hotel Changi quite a few times with the fam, and the food and service have been consistent. Local and international cuisine is featured and they do quite alright by hotel buffet standards. If I really had to choose where to eat in Village Hotel Changi though, I’d head to La Cantina in Venezia without hesitation. Firstly, the view is stunning so try to get a table outside. 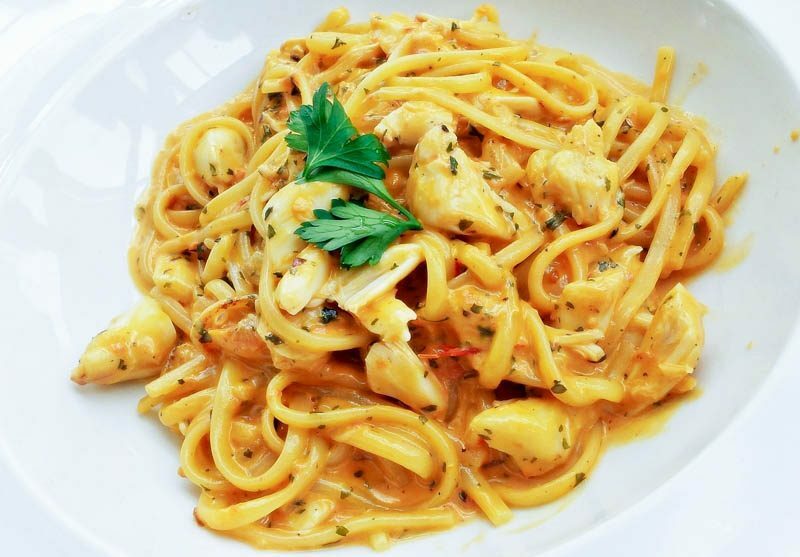 I love Italian food so I know a good pasta when I see one — order the Linguine Al Granchio (Crabmeat Linguine) (S$26.90) and I promise you, it’ll be one of the best you ever have in Singapore. Besides the draw of amazing eateries, Changi Village seems to have gotten quite the cafe culture going in recent years. Here are a few that you can check out when you’re in the area. It wasn’t that long ago that these 3D latte art creations by Chock Full of Beans were making their rounds on Instagram and I can totally see why. Cuteness overload! Customers happily partake in the 20-minute waiting time just to be surprised by a Hello Kitty or Totoro version. The hype is clearly still present so get there early on a Sunday if you want a table. 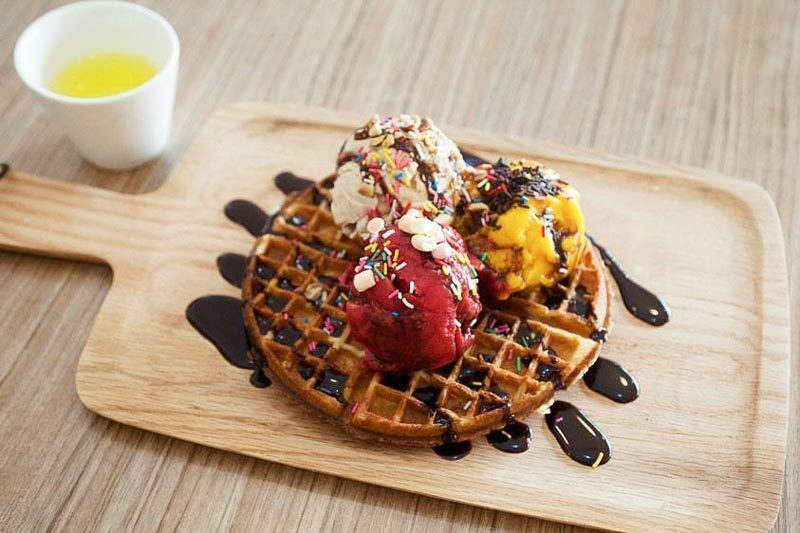 Another cafe offering ice cream and waffles is A Spoonful of Sugar. They’ve got two waffle options: Thick and Fluffy or Thin and Crispy. I’d obviously opt for the former with a sizeable scoop of ice cream. This is definitely the place to stop at first before your trip to Pulau Ubin. Back from a scorching day of cycling at Pulau Ubin and craving for something cooling? Then don’t forget to stop by Olivye Cafe after you get off the boat at the ferry terminal. The cafe has a wide selection of not only Gelatos but also Western food. They’re also certified Halal so you and your Muslim companions can check out their crazy premium Gelato flavours such as Chili Chocolate, Mojito, Biscotti, Chempedak… and the list goes on. 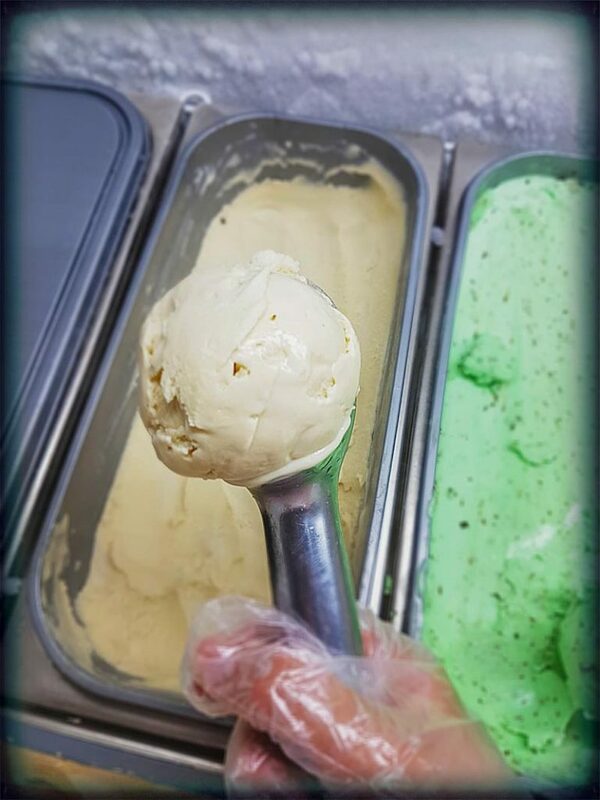 If you’re not that adventurous, they have classic flavours such as Vanilla Mint Fudge, Blueberry and Chocolate available too to satisfy your cravings. Or if you’re looking for something hearty to eat, I heard they serve up a pretty cut of Ribeye Beef (S$16.90) too. 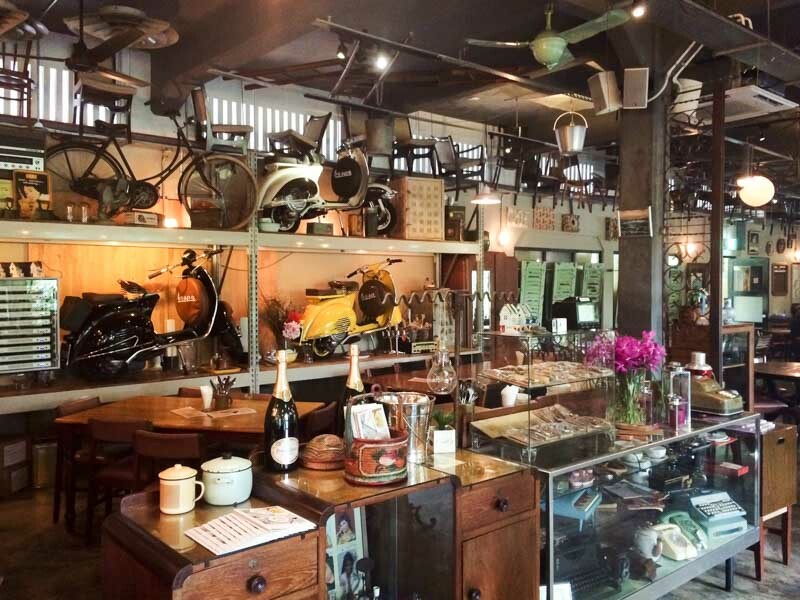 For all you nostalgists out there, here’s a cafe to take you back in time. 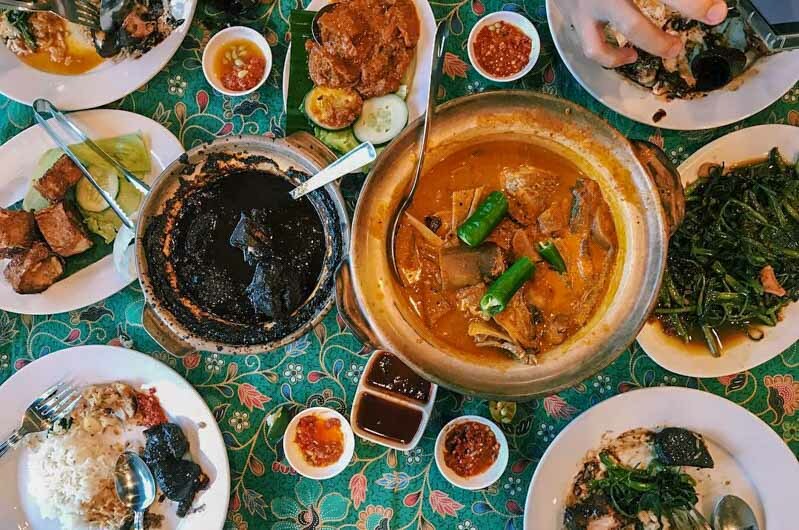 Gd O’Times specialises in the Peranakan cuisine and has been situated in Changi Village for countless years with a steady flow of regulars and tourists alike. 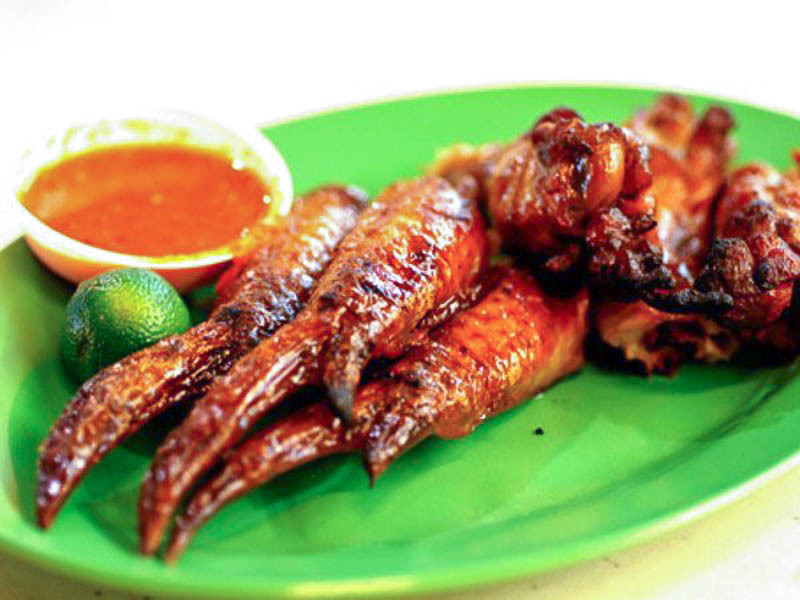 Their Ayam Goreng is said to be dynamite and has earned the likes of many tourists. Of their numerous other dishes, their seemingly-unappetising jet black Ayam Buah Keluah seems to stand out as a crowd favourite as well. By hearing the many raves, I guess it’s safe to assume that it tastes better than it looks. I guess when you think Changi, you either imagine Changi Airport or Changi Village. There are so much more friends! 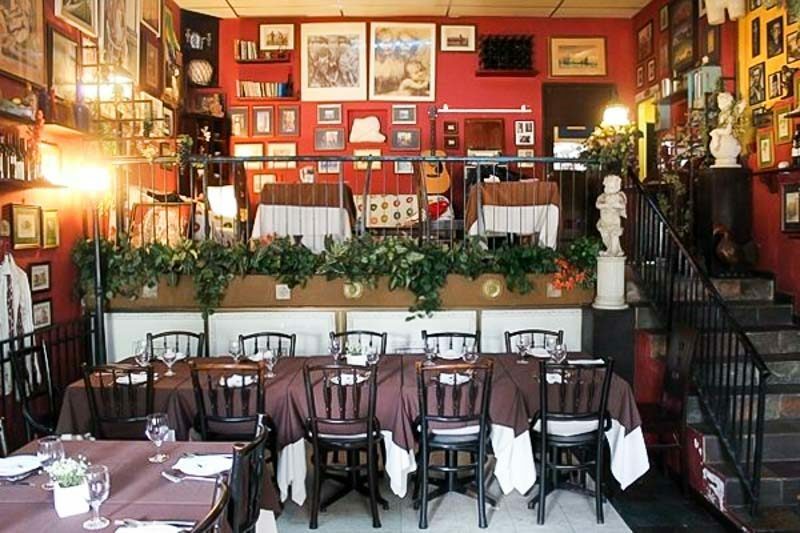 Venture around a little bit and you’ll be rewarded with some unique dining experiences. 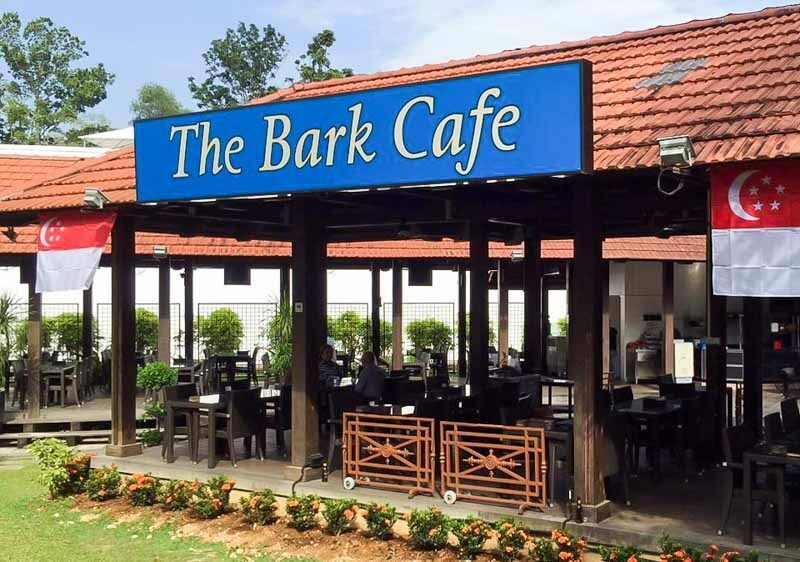 More restaurant/bar than cafe, The Bark Cafe features fusion cuisine in an outdoor setting, right next to the Changi Chapel & Museum. Learn a bit more about Singapore’s history before spending the afternoon chilling at the cafe with a few drinks and a game of pool. Get ready for a proper Italian dining experience in Changi, where the owners are friendly and the atmosphere is unbeatable. 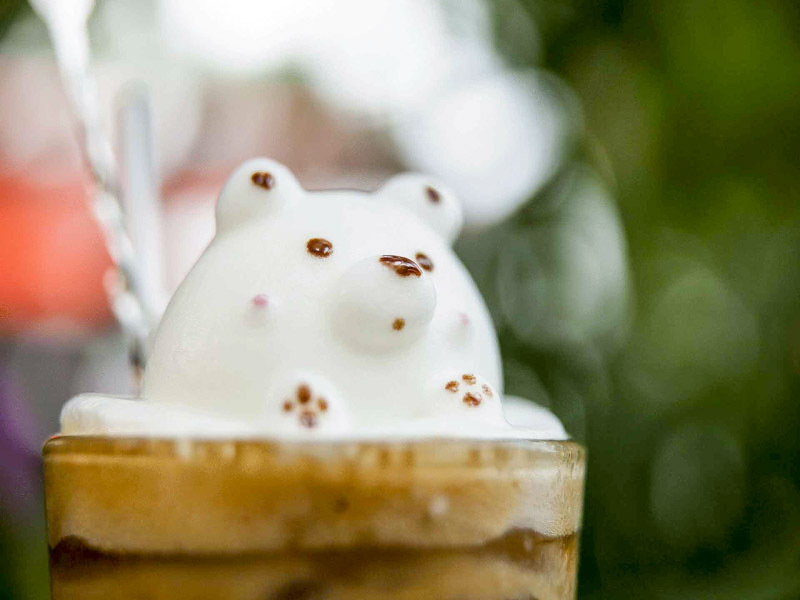 The space itself is wonderfully eclectic and you’ll soon forget that you’re in Singapore. Go crazy and let the chefs decide what you should have for dinner or order from a menu filled with Southern Italian classics. Many started exploring Changi a lot more after The Coastal Settlement opened and everyone was looking for that bit of nostalgia. Ambience is probably the main thing this place has going for it though, since I find the food good but slightly overpriced. Still, it’s very much worth a visit and the parking is free. Changi may seem like Malaysia to anyone not living in the vicinity but I seriously think it’s an underrated part of Singapore. Grab a few of your best buds and make a Saturday or Sunday visit to this hood and please don’t just come for the famous nasi lemak (or Pokemon Go). This Changi food guide is by no means comprehensive enough just yet, so let me know in the comments if I’ve missed out on a gem or two.